Betting News > Football > Premier League > Price Boost: Giroud enhanced to score first against Sunderland! 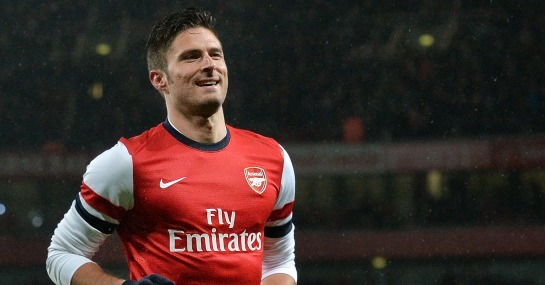 Price Boost: Giroud enhanced to score first against Sunderland! Arsenal are presented with an excellent chance to return to winning ways in the Premier League with a home game against Sunderland and there’s no better candidate to fire them into a lead than Olivier Giroud. Having been asked to front the Arsenal attack in nearly every game this season, the Gunners’ leading Premier League scorer was certainly in line for a rest. Arsene Wenger duly obliged by leaving Giroud out of the starting line-ups in both their last two cup fixtures where he came on for just two minutes against Liverpool and sat out their painful midweek defeat against Bayern Munich altogether. But now the Frenchman is sure to be recalled for this crucial Premier League match-up with Sunderland where Ladbrokes have boosted his odds to break the deadlock from 7/2 to 5/1. With 10 top-flight goals to his name already this season Giroud has been an integral part of Arsenal’s title push and with fresh legs underneath him for a change, could not be better set to add to his tally here. The former Montpellier striker will have fond memories of the return fixture against the Black Cats too, where he notched the opener at the Stadium of Light after just 11 minutes. There are not many strikers in the land who have drawn first blood in the league as many times as Giroud either, who would already have landed this bet in six of his appearances this season. Arsenal are in desperate need of the points in order to maintain their tilt at the title and can be backed at 1/3 to overcome Sunderland.